Cleaning Services in Southend, Essex - Get DeepCleen! We will customise our cleaning services to your needs! 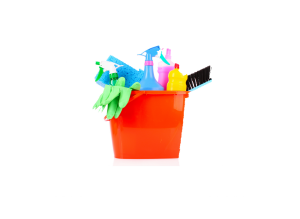 We are a new type of cleaning company and our cleaners will take care of all types of cleaning and more: Heavy duty scrubbing, oven cleaning, fridge-freezer cleansing, dish washing and organising your home. We are fully insured, which protects you if an accident or injury happens on your property. We are very proud of our team and of what we do, and it shows in our office and home cleaning. We go to great lengths to hire the right people to clean your home. To ensure that we clearly understand all your needs and to have the best communication possible, all of our employees speak and read English. DeepCleen sends screened and trusted employees to clean your home. Each of our employees has had a CRB check, has been thoroughly trained in the latest cleaning techniques and works to very high standards. We generally work in teams of 2-3 cleaners depending on the size of the premises and the clients personal preference. If we missed something, and you are not satisfied with your house or office cleaning, please let us know within 24 hours of the cleaning and we will send the team back out at our expense to correct the problem. We would like continual feedback from all of our clients in order to improve our service to you. If you want something changed just let us know as we want to please and insure consistent and high quality cleaning. We contact all of our clients after their initial cleaning to ask for feedback. Every client has different requirements, needs, and expectations, so the more communication the better. Read our testimonials page or the recent recommendation from London South East to see what our clients think of the service we provide. Initially you will have an on site visit in order to discuss and document your specific needs for your office or home specifics and make sure these are clearly understood. You will provide us with your instructions, keys, alarms or any other specific instructions about your household or pets. Cleaning is hard work! An initial Office or Home clean normally starts with a deep cleaning visit which takes about twice as long as a standard clean as it takes longer to clean an office, kitchen, bath or shower that has a lot of build up of dirt than ones that have been cleaned frequently. DeepCleen cleans your entire office or home each visit. Many other cleaning services use a rotational system, meaning only one portion of your home gets an in-depth clean on each visit. Our fees are based on the time it takes to clean your home or commercial premises. We have a 2 person, 1.5 hour minimum. Estimates are based on the square foot, number of employees/household occupants and pets, rooms, bathrooms, kitchen area. We can provide all cleaning supplies and equipment necessary to make your office or house shine. However, if you want us to use your cleaning equipment or special cleaning supplies, let us know and we will do just that. Detailed deep cleaning for a builders clean or renovation, moving house, end of tenancy etc includes everything in a routine house cleaning and then more. We clean the walls and light fixtures. The Fridge-freezer, cooker, oven and windows. A great way to get your home in shape if you are about to sell or are having guests. We will try and keep teams constant but can rotate teams on request to make sure you have the best team for your needs. On occasion if a person is sick or on vacation the team may differ slightly but you should be assured of seeing a familiar DeepCleen team member. We work 7 days a week though our cleaning rate is slightly higher at the weekend. We make every attempt to arrive very close to our scheduled time, but will let you know as soon as possible if we have any delays. We can provide early morning or evening cleans to suit your needs.